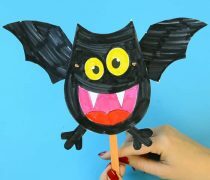 With this selection of Halloween Crafts for Kids, you will never run out of crafting ideas! 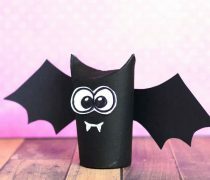 From the super easy Halloween arts and crafts that toddlers and preschoolers can make to more challenging step by step craft tutorials older kids or you will love to make too. 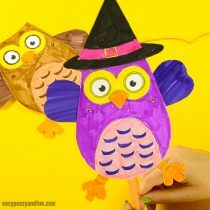 Browse through our selection of best crafts and pick your projects for this season (for your home or to make in the classroom). 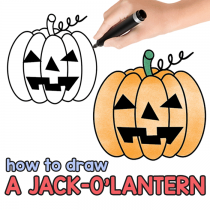 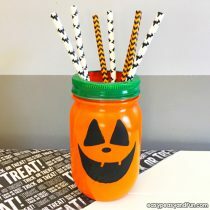 Looking for Halloween crafts for specific age group? 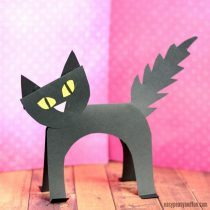 We have a few age appropriate sections ready. 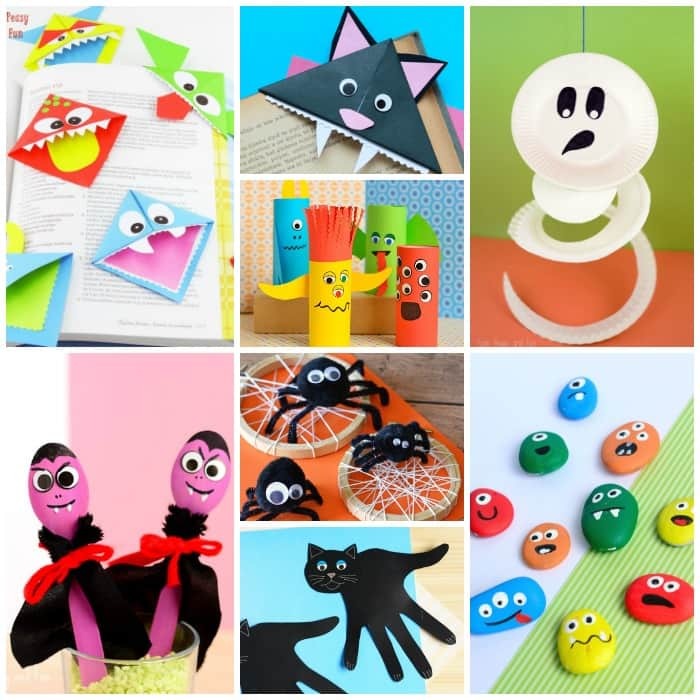 You’ll find lots of monster crafts, spiders, vampires, witches, ghouls, pumpkins and Jack’O’Lanterns, black cats, spooky ghosts and all kinds of ghastly creatures to create with your kids. 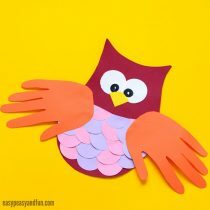 Crafting at home or in the classroom? 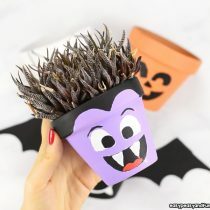 We have you covered as we have a few Halloween craft ideas for every occasion – from low prep crafts that will take 5 minutes to more engaging ones that kids will be able to play with once they are done. 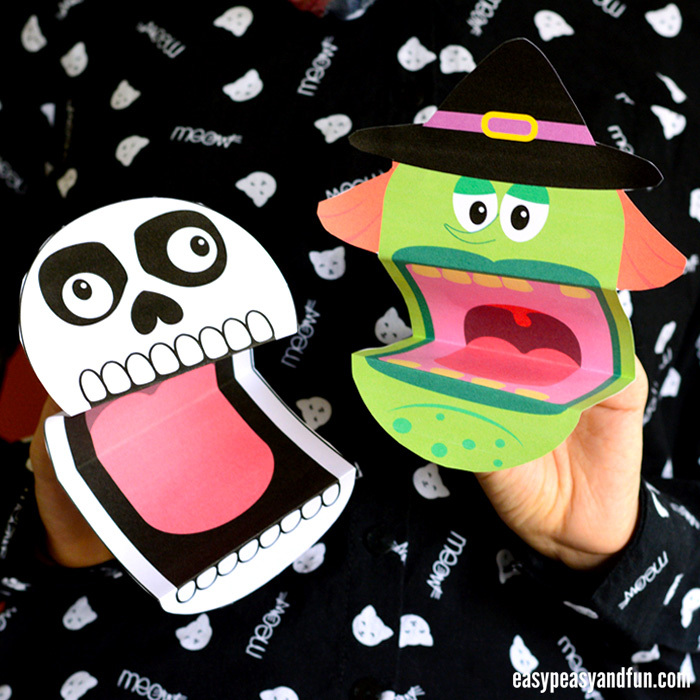 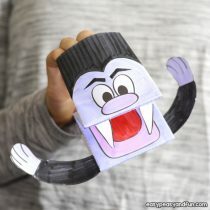 These printable Halloween puppets certainly are on of kids favortites at the moment. 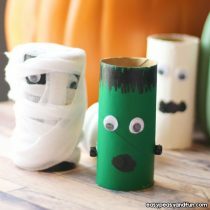 From scary to silly, you just have to add some of these ideas to your crafting plan! 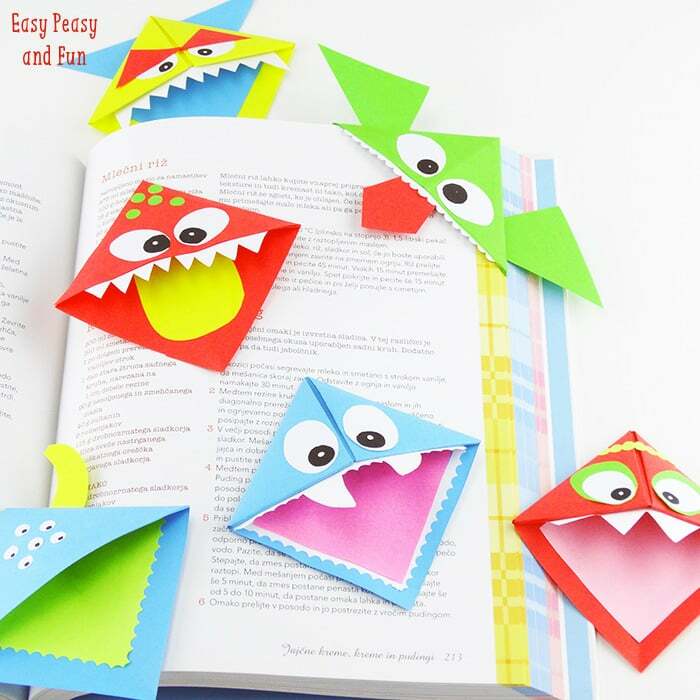 Like the corner bookmarks above? 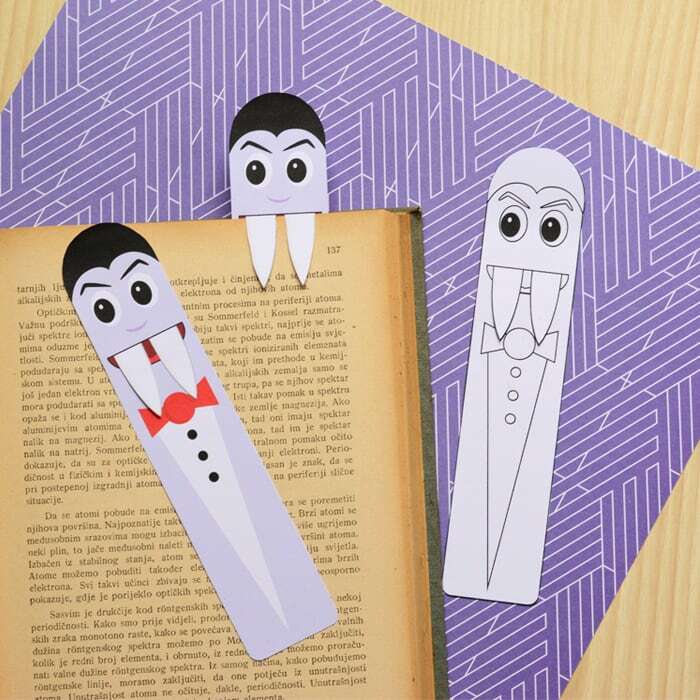 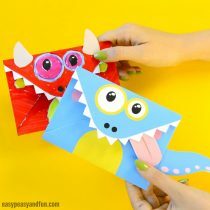 See the step by step tutorial on making our DIY monster bookmarks. 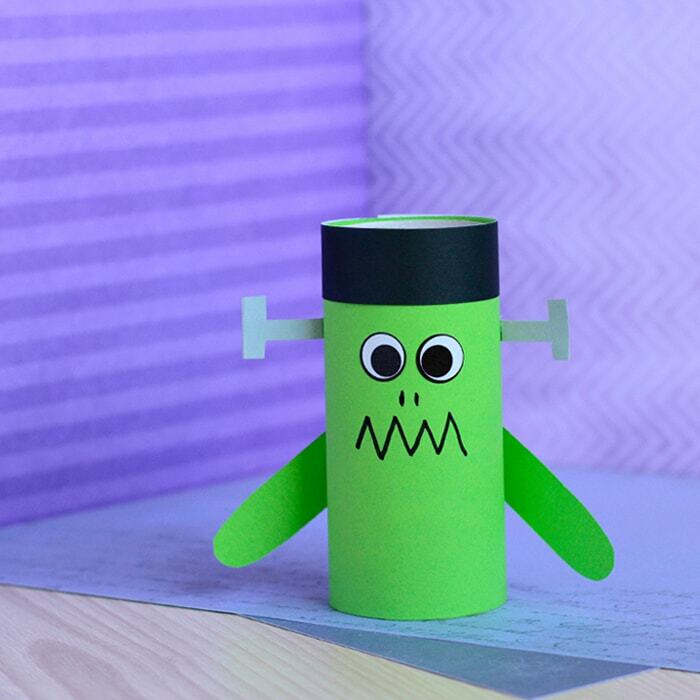 You can’t have a Halloween crafts party without making a monster or two… Or a whole bunch of them. 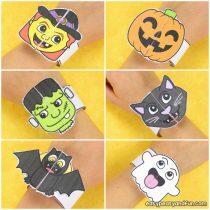 We love getting silly and creating monsters – wiggle eye stickers or googly eyes are a must here, as they take the silliness to a whole new level. 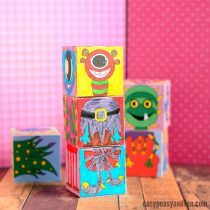 Pick a project (we’ve spotlighted a few), go through the step by step tutorial and have fun creating your monsters. 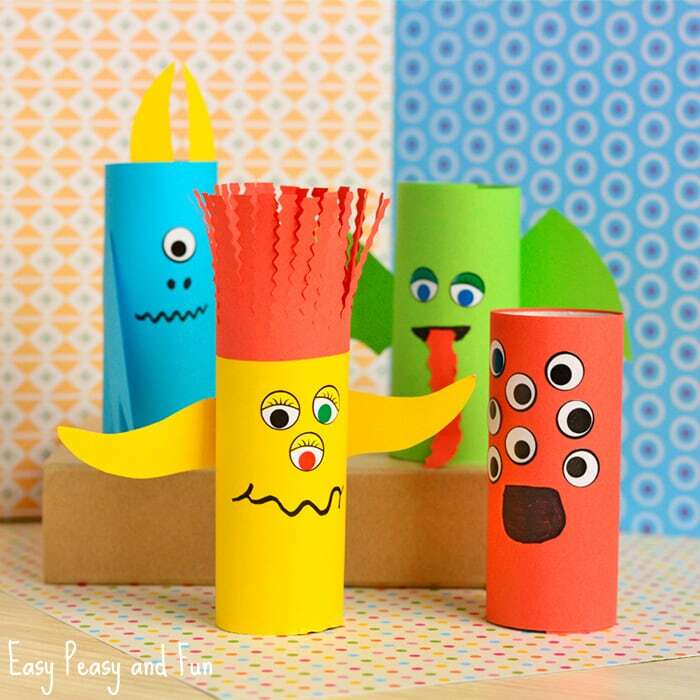 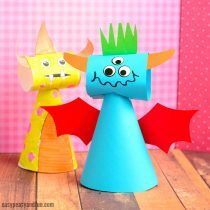 You’ll find cool Halloween paper crafts, silly toilet paper roll monsters, rock friends your kids can carry around (perfect craft for pre-k and kindergarten as it’s all about fine motor skills). 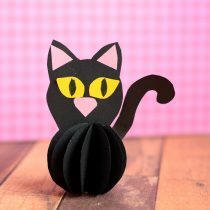 We do love a good cat craft, and Halloween is a great excuse to make a whole bunch. 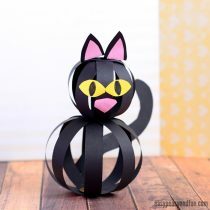 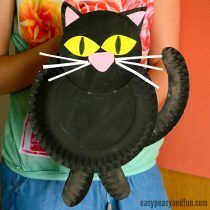 One of our favorite Halloween themed cretures to get crafty with is certainly the black cat. 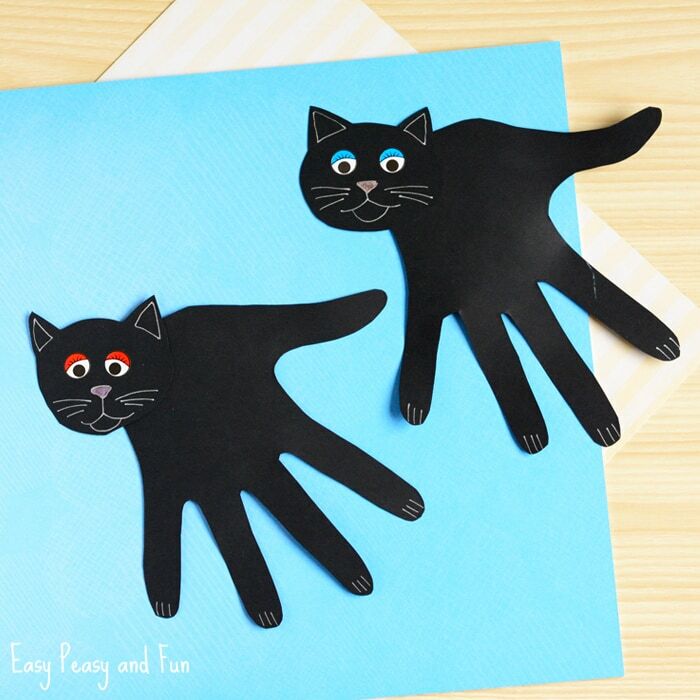 Younger kids will love making the handprint cat (such a great Halloween handprint art idea) – either by stamping their hands or by tracing them on black paper and cutting them out. 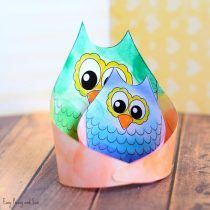 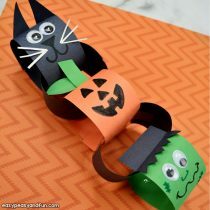 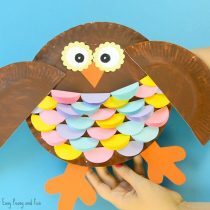 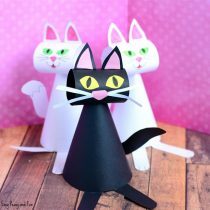 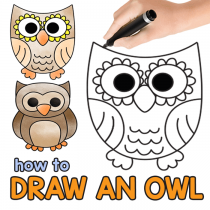 Spotlighting just a few of our favorites here, you will find simple hand tracing crafts that turn into wonderful cat and are perfect for preschoolers (toddlers even with some help) to 3D paper crafts that will bring a smile on any kids face. 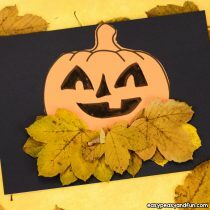 Pumpking are an important part of Halloween! 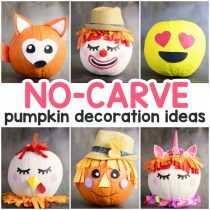 No real pumpkins around? 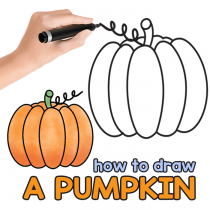 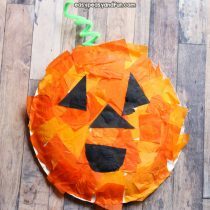 Make a pumpkin craft. 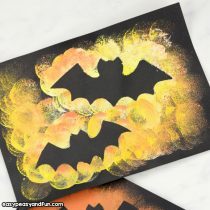 One of the more popular themes with Halloween crafts ideas are certainly pumpkins and Jack o’Lanterns, and we have quite a few. 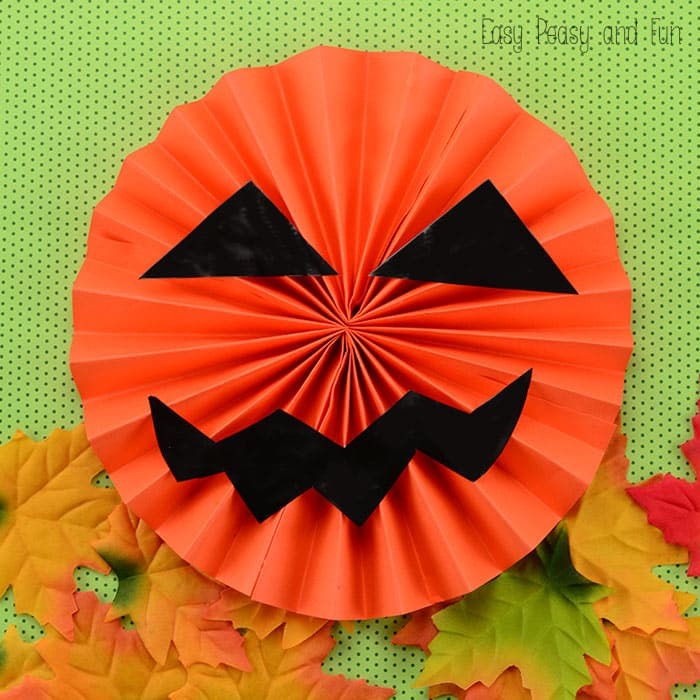 Featured above is the paper rosette Jack o’Lantern. 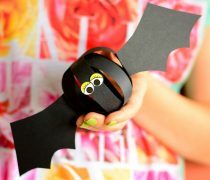 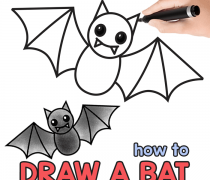 We do love bat crafts and can’t wait to share more with you. 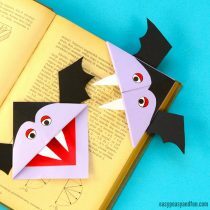 One of our all time favorites is the lovely bat origami bookmark. 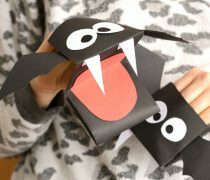 Moving on, we have some specific monsters, as you can’t have kids crafts for Halloween without them. 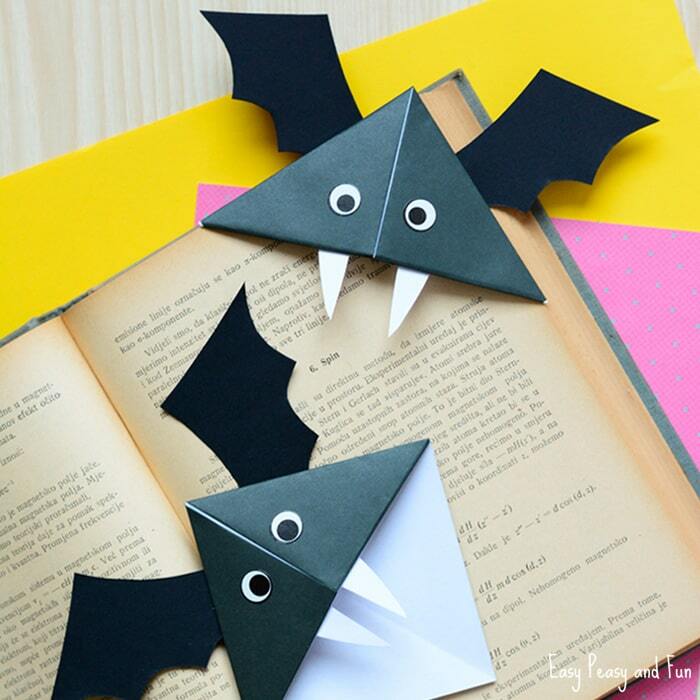 I was always a bit fascinated by vampires, so these bloodsuckers certainly deserve a spot o their own. 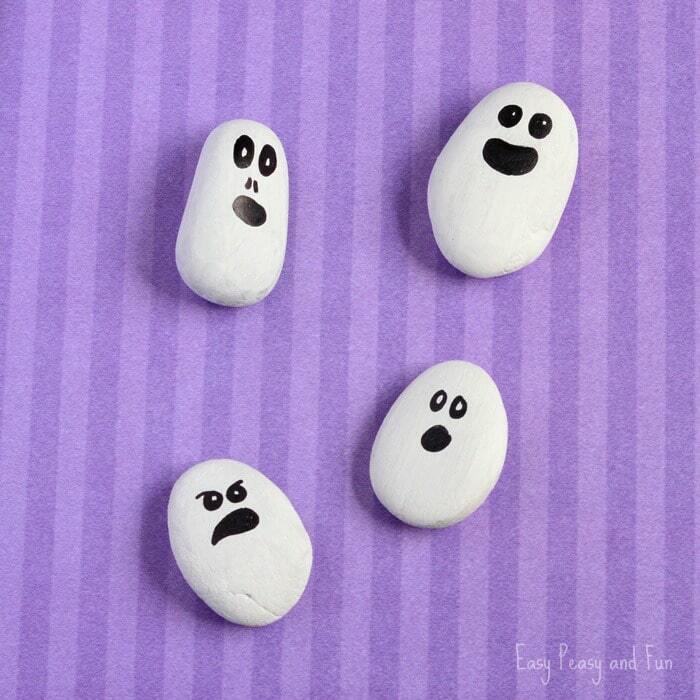 Are you afraid of ghost? 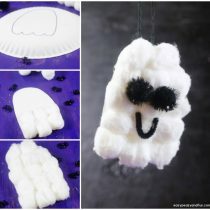 We absolutely love making paper plate ghosts, as well as other ghostly creations. 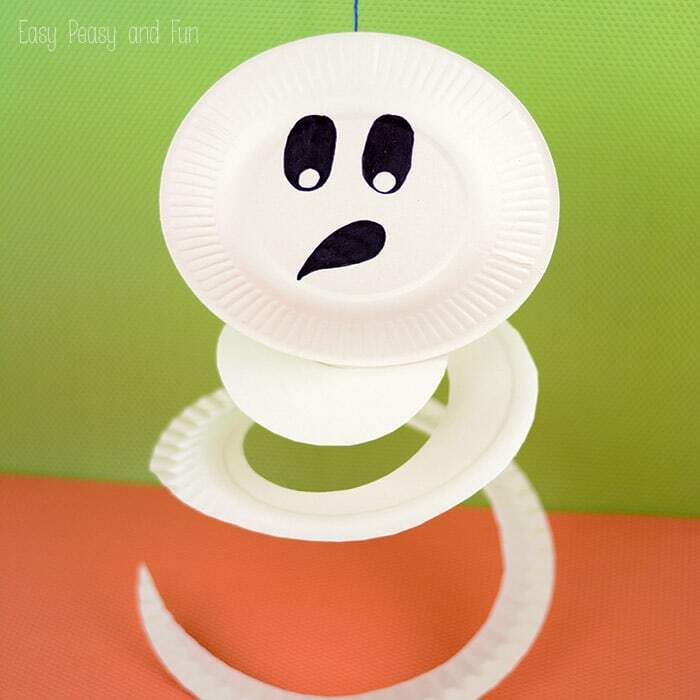 The swirly paper plate ghost we made is an excellent decoration, both for classroom or at home as it will twist and twirl in the air. 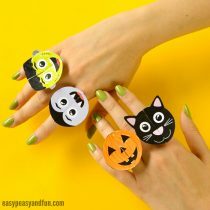 How spookily cool! 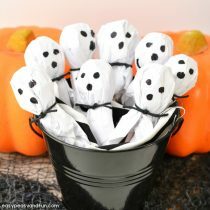 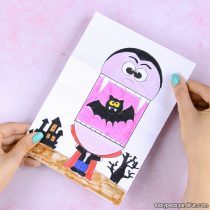 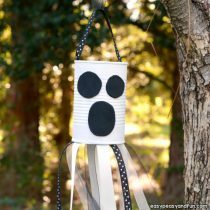 While ghost sure cab be scary, we are sure you won’t be afraid of these ghost Halloween craft ideas. 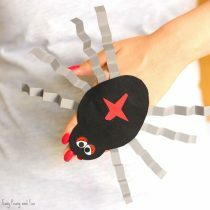 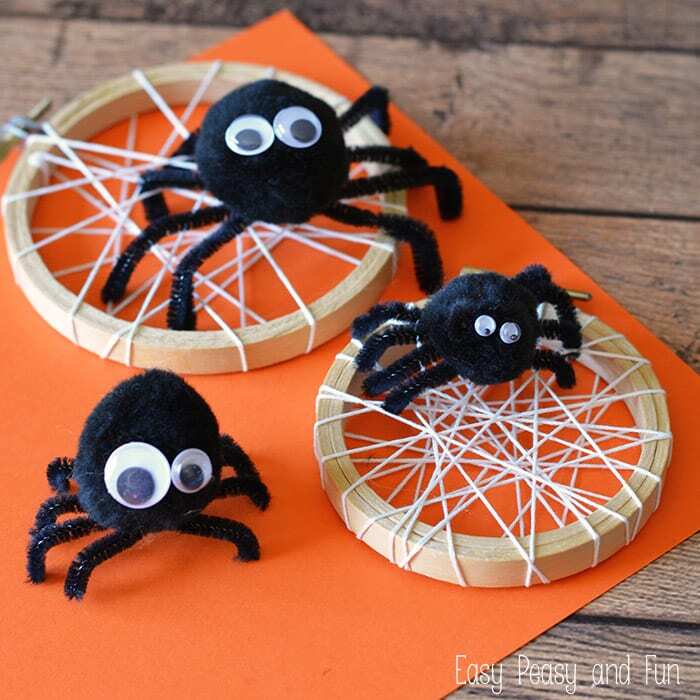 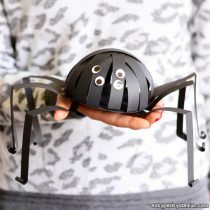 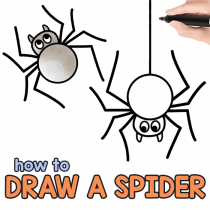 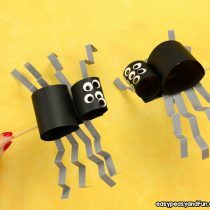 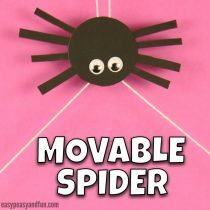 Love them or fear them (I most certainly fear them) spiders are a fun crafting project to do with your kids for Halloween. 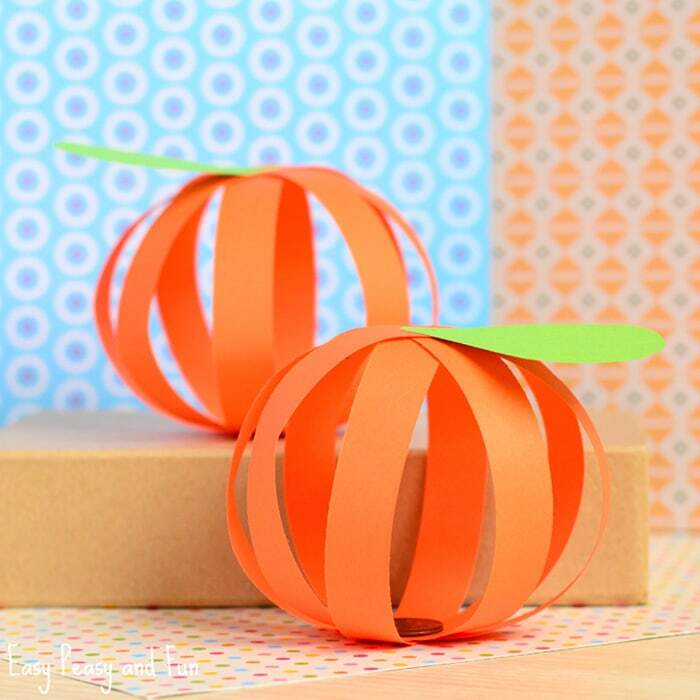 We can’t wait to share more crafting ideas with you.